Hannah Gallamore is a percussionist from St. Louis, MO. 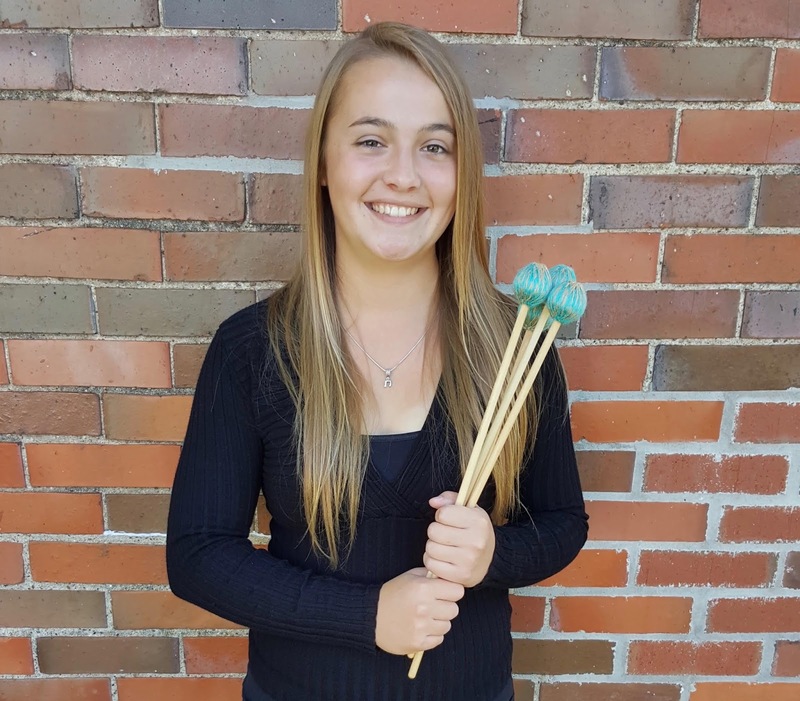 She received her Bachelor of Music in Percussion Performance and Bachelor of Arts degree from Truman State University in Kirksville, MO in 2018 and will continue studies as a Graduate Teaching and Research Assistant at Truman in pursuit of a Master of Arts in Percussion Performance and Pedagogy and Master of Education. She holds a private lesson studio consisting of eight percussion and piano students ranging in age of 5 to 17 years old. She has studied percussion under renowned performer and pedagogue, Dr. Michael Bump, for 4 years and has had the pleasure of performing in masterclasses with Ji Hye Jung, She-e Wu, Michael Burritt, the arx duo, Dr. Dave Hall, and Dr. Megan Arns. She has competed in several percussion competitions such as Missouri Day of Percussion, receiving 1st place in the collegiate marimba solo competition in 2018 and Mid-Missouri Percussive Arts Trophy, receiving 1st place in the duo competition in 2017 and 2018 as well as 2nd place in the marimba solo competition in 2018.